CONNECTED WITH THE RIGHT PEOPLE. 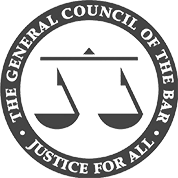 The Bar Council, together with the independent Bar Standards Board, is the professional association and approved regulator for barristers in England and Wales. All barrister members of Richmond Chambers Immigration Barristers are registered with the Bar Council and regulated by the Bar Standards Board. The Investment Migration Council (IMC) is the worldwide association for professionals dealing with investor immigration and citizenship-by-investment. As a member of the IMC, Richmond Chambers has been assessed and approved on the basis of our expertise, experience and high professional standards in the field of investor immigration. DIT’s UK Advisory Network comprises UK businesses that can provide high quality and trusted professional support to foreign investors setting up in the UK. Richmond Chambers has been appointed to the network as a result of the high quality of our work on behalf of overseas investors and entrepreneurs seeking to relocate to the UK. ILPA is a membership organisation established in 1984 by a group of leading immigration law practitioners to promote and improve the advising and representation of immigrants and provide information to members and others on domestic and European immigration, asylum and nationality law. Richmond Chambers is a member of the Immigration Law Practitioners' Association. The China-Britain Business Council (CBBC) is the leading organisation helping UK companies grow and develop their business with China. Richmond Chambers is able to provide immigration services in Mandarin and we regularly assist Chinese clients to relocate to, and extend their stay in, the UK under the Tier 1 Investor, Tier 1 Entrepreneur and other immigration routes. UK Visas and Immigration (UKVI) is responsible for decisions about who can come to the UK and who can stay here. Richmond Chambers is approved by UKVI to submit visa applications via the same day premium and super-premium services. We have also been consulted by UKVI’s Migration Policy Unit in relation to amendments to the Home Office's Tier 1 Investor and Tier 1 Entrepreneur visa policy.